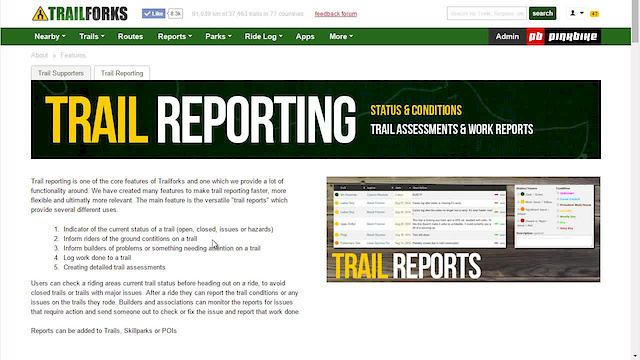 Trail reports can be scheduled to be published and expired. This is a handy feature for scheduling the temporary closure of a trail for a trail day or race event. A bike park can also schedule the closure of their trails at the end of the season. Scheduling also works with the bulk reporting tool.